Ruth Cairnie was formerly Executive Vice President Strategy & Planning at Royal Dutch Shell Plc, where she held a number of senior international roles, including managing the Global Commercial Fuels business. She served on the boards of Shell Pakistan Ltd and joint venture companies in Germany and Thailand. 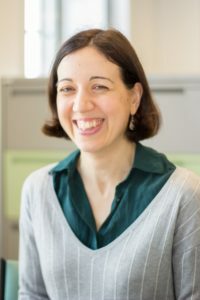 Ruth graduated in Joint Honours Mathematics & Physics from Bristol University and then took a Masters in Advanced Studies, Maths, at Cambridge University. Ruth is currently a Non-Executive Director of Associated British Foods plc and Keller Group plc. She is also a member of the Advisory Board of the Rotterdam School of Management. She has joined the POWERful Women board as industry chair. 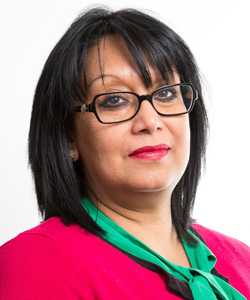 Baroness Verma, co-founder of Powerful Women is currently sitting on the European Union Committee and chairs the EU External Affairs Sub-Committee. Baroness Verma served as Parliamentary Under Secretary of State at the Department for International Development from May 2015 until July 2016. She has been a Conservative member of the House of Lords since 2006 and previously served as Parliamentary Under Secretary of State for DECC. Between 2010 and 2016 her posts included the position of Parliamentary Under-Secretary (Department for International Development), Parliamentary Under-Secretary (Department of Energy and Climate Change), Lords Spokesperson (Department of Business, Innovation and Skills), Lords Spokesperson (Home Office) (Equalities and Women’s Issues), Baroness in Waiting (HM Household) (Whip), Lords Spokesperson (Department for International Development) in government. Laura Sandys, co-founder of Powerful Women is a business entrepreneur and political innovator. In both politics and the corporate world, Laura has campaigned for changes in food security, together with resource management and energy markets as Parliamentary Private Secretary to the Energy Minister. She is the CEO of the organisation Challenging Ideas, a creative space for businesses to test ideas, models, and challenge status quo thinking in a safe environment. Laura also set up the Food Foundation as an independent policy think-tank to explore the changing challenges facing UK and international food systems. 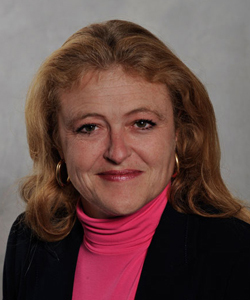 Previously, Laura Sandys has served as the Conservative MP for South Thanet since 2010. She chairs the European Movement UK, a not-for-profit, independent, all-party and grassroots organisation, which calls for closer integration and co-operation at the EU level in areas where collective EU action can deliver better results than individual member states acting on their own. 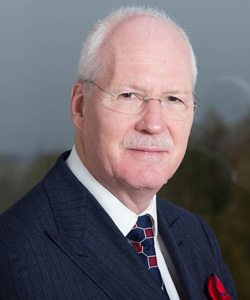 Francis Gugen is the Chairman of the ICAEW. Francis has over 40 years’ oil and gas industry experience and is on the Board of Directors at SBM Offshore NV and Smart Matrix Ltd.
Francis was previously employed as Non-Executive Director by Britannia Building Society, Chairman by Petroleum Geo-Services ASA, Chairman by CH4 Energy Ltd., Chief Executive Officer by Amerada Hess Ltd., Chairman by Confederation of British Industry, and President by UK Offshore Operators Association Ltd. Between 1982 and 2000 he helped grow Amerada Hess in North West Europe, ultimately becoming regional CEO. 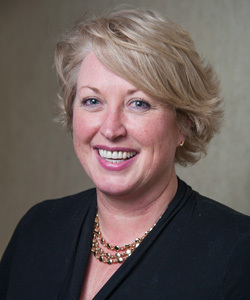 Louise Kingham OBE FEI is Chief Executive of the Energy Institute (EI), the leading professional body for energy, which promotes excellence by developing knowledge, skills and good practice in the global energy sector. Louise has spent the past 23 years working with energy professionals around the world. 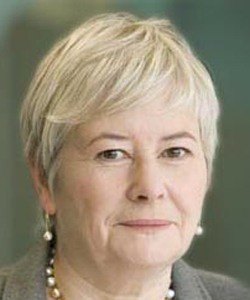 Prior to her appointment at the head of the EI in 2003, Louise was Director General of the Institute of Petroleum and Chief Executive of The Institute of Energy. Louise is currently a Council member of the All Party Parliamentary Group for Energy Studies and a Board member of the Powerful Women initiative. She is a former President if the Energy Industries Club, Advisory member of the Energy Policy Board at the University of Birmingham and judge for HM Queen’s Prize for Higher and Further Education. In 2006, she received a Global Leadership in Energy Award and in 2011, the OBE from HM Queen for services to the energy industry. In 2016 she was awarded an Honorary Science Doctorate from the University of Bath. Joan MacNaughton CB Hon FEI is Chair of The Climate Group, and of the Energy Academy of Europe. From 2007 to 2012, Joan MacNaugthon was Alstom’s Global Adviser on Sustainable Policies leading Alstom’s policy department and the company’s clean power advocacy. 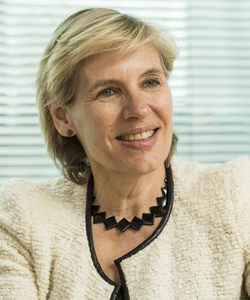 Prior to joining Alstom, Joan held the position of Director General of Energy, overseeing the energy agenda during the UK Presidency of the EU and leading work on the energy proposals agreed at the G8 Gleneagles Summit. From 2004 to 2006, she was elected Chair of the Governing Board of the International Energy Agency, helping redefine IEA strategy and leading the response to supply disruption caused by Hurricane Katrina. An Honorary Fellow and past President of the Energy Institute and the Executive Chair of the World Energy Council Trilemma report, Joan is also Senior Research Fellow at the Oxford Institute for Energy Studies and, among other appointments, a member of the Board of Governors, Argonne Laboratory at the University of Chicago, and of the Boards of CCSA and IETA. She is a Companion of the Order of the Bath. Matthew Wright is Managing Director of Ørsted in the UK (formerly DONG Energy). He joined the Company in May 2017. Matthew has 30 years’ experience in the utilities sector, working both in the UK and overseas. 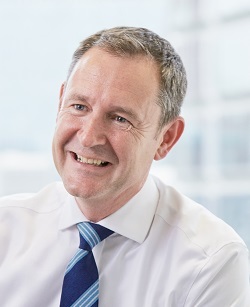 Most recently he spent 10 years in the UK water sector, first as Managing Director at United Utilities and subsequently as CEO of Southern Water, a position he held for 6 years. Prior to this, he spent 20 years in the electricity industry and held a number of senior strategic and operational roles with ScottishPower in the UK and PacifiCorp in the USA. Recent clients include: Sheffield, Cardiff, Kingston, Hertfordshire, Nottingham, Exeter Universities, FirstGroup, Costa, Virgin Media, the Co-op, GCHQ, NSPCC, The College of Policing, The Army. Previously, Simon was chairman of the University of Sussex governing Council. 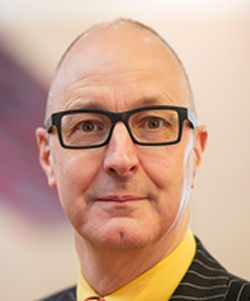 He is currently on the Boards of Brighton Dome and Festival, Housing and Care 21 and of POWERful Women and is a Trustee of The Museum of London. Simon was also a co-founder of one of the most successful lobby and campaign groups in recent times, the lesbian and gay equality organisation Stonewall. He is now a co-founder of the Kaleidoscope Trust, supporting LGBTI activists abroad. Simon is a broadcaster, writer and pundit. He was awarded the OBE in the New Years Honours list 2013 for services to Higher Education. And he was made an Honorary Doctor of the University of Sussex for services to diversity and human rights in 2013. 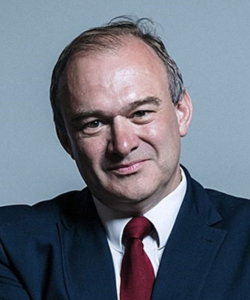 Sir Edward Davey has served as the Member of Parliament for Kingston and Surbiton from 1997 to 2015, and since the General Election of June 2017. 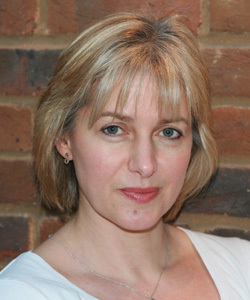 Gwen Parry Jones OBE is the former Generation Development Director at EDF Energy and Fellow of Institute of Physics. One of the most senior women in the UK nuclear power industry, Gwen Parry Jones has pledged to help nurture the next generation of female talent. Gwen started her career as one of the UK’s first female nuclear engineers and she’s a firm believer that science can lead to many different career paths. Her current role is about looking at the people and the assets that EDF Energy Generation has, and thinking about how that fits into the future world. Emily Bourne is the Director for the Energy Development and Resilience Directorate at BEIS, with responsibility for upstream oil and gas policy, shale gas policy, offshore oil and gas environmental regulation, energy planning consents and coal liabilities, energy Cyber security and Emergency resilience. Prior to this she was the head of the department’s Shale Gas team, and before that Head of Programme for Electricity Market Reform in the Department for Energy and Climate Change. She has worked on energy policy for the past ten years.